Islamic State cannot be dismissed as a “medieval” cult, and the world is encouraging its growth by allowing more failed states to emerge, Afghan president Ashraf Ghani told RT. “If Al-Qaeda was terrorism version one, Daesh [the Arabic acronym for ISIS] is terrorism version six,” Ghani told Oksana Boiko in an exclusive interview on RT’s Worlds Apart program. Ghani, previously a professor of anthropology in some of the world’s top universities, who took over from Hamid Karzai after winning last year’s presidential poll, warns against caricaturing the radical Islamists as simple-minded throwbacks. “I don't attribute medieval-ness to anybody. We're contemporaries. There's no one who is medieval. Anyone who lives in the 21st century is a product of the 21st century. It's patronizing to call others medieval,” says the 66-year-old. Ghani warns that “if you are going to contain it, we need to be equally fast, creative and coordinated.” Instead, from North Africa and all the way to Afghanistan lies a plethora of countries in various degrees of distress. “What is characteristic now is that the state collapse has become a pattern. It's not an isolated event. So previously, if you had a weak link, now you have a broken chain,” says Ghani, who has written a book-length study of failed states. With growing a impact from transnational forces, both ideological, such as militant Islam, and financial – as capitalism spreads, and wealthy and powerful individuals in one country sponsor terrorism in another – the entire national state system is under pressure. 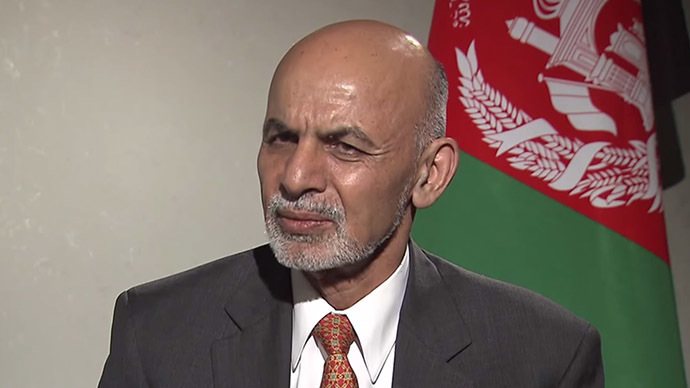 But after decades of failed interventions, including those in his own country, which has been at the mercy of Soviet and US troops, as well as international terrorist organizations and Pakistani influence, Ghani cautioned against using individual countries to fight global ideological battles. Until a new international consensus emerges, Ghani believes radical groups such as Islamic State will spread among the lawlessness, and once they do, no peaceful means can stop them, meaning that thousands more lives are yet to be lost.